Arsenal boss Arsene Wenger has shared some mixed injury updates as he prepares his side for their League Cup clash with West Ham United on Tuesday. 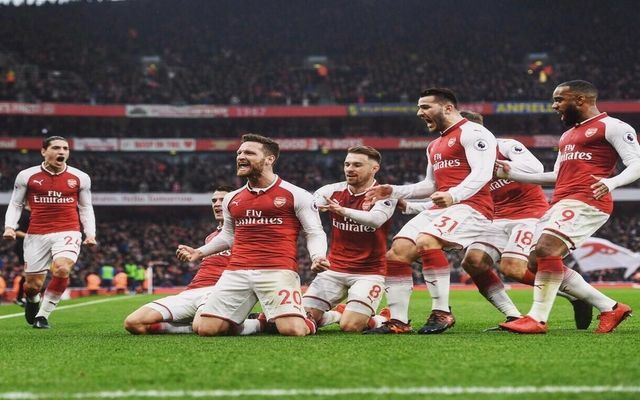 The Gunners will hope to take a step closer to winning some silverware this season, with the Premier League title looking like a distant and impossible dream given Man City’s form. In turn, the French tactician may well choose to take the Europa League and cup competitions a little more seriously, along with the pursuit of a top-four finish in the Premier League. Up next is the visit of the Hammers to the Emirates on Tuesday night for their League Cup quarter-final clash, and he has confirmed some important bits of team news. Theo Walcott will start as he makes his comeback to the line-up having made just one appearance in the last 12 league outings, although he did play a starring role in the 6-0 win over BATE Borisov in Europe earlier this month. He’ll be hoping to impress in midweek in order to claim his place in the team back, but there’s no such luck for either Aaron Ramsey or Shkodran Mustafi who are both set to miss out. The former is expected to be sidelined until early January after sustaining another setback, while Mustafi is still recovering from the thigh muscle problem he suffered in the loss to Man Utd, as per the tweets from freelance injury analyst Ben Dinnery below. The Gunners have ridden their luck at times at the back in his absence, but having conceded just one goal in their last three outings, they may feel confident in coping for another game as Wenger suggested it’s just a precaution and the German international could return at the weekend to face Liverpool. ?Ahead of the Carabao Cup + GW19@PremierInjuries table ?